While the firm may lose some value appropriation, and pass on a bigger slice of the value pie to the achieving executive, the extra value gained through successful exploration and the development of new business and knowledge increases the size of the pie overall, and places the organisation in a better position for future growth. Indeed when an organisation gives some of its “ownership” of relationships to individual employees, it can actually benefit. When Chris was hired by a large city consultancy, he brought with him a strong network of resources. As well as the many contacts he had made during his MBA studies and through his regular speaking engagements at industry conferences and panels, he had a diverse wealth of knowledge from his previous work at law firms and from co-authoring a series of papers about the microfinancing of third world projects – something his new firm had very little interest in. This network had impressed the team responsible for hiring him and gained him early kudos in the company. Chris found, however, that as his role shifted and he began to take on more responsibility for larger, global clients, he was drawing less on these individual resources. The projects he was now working on required him to follow certain routines and procedures, reducing his autonomy. His interactions with clients were less personalised and, rather than cultivating contacts using his own experience and interests, his discussions were solely related to the collective competencies of the firm. Chris began to feel that he was losing his identity and his value as a junior partner. At the same time, his employers, who were constantly concerned about losing clients when talented employees like him left the firm, were comfortable knowing that if Chris were ever to quit, there was little likelihood his clients would follow. It’s not unusual for professional service firms, as they grow and mature, to emphasise formal processes and routines and de-emphasise personal interactions between employees and clients. Sometimes this is done intentionally, as in Chris’s case, to minimise the company’s vulnerability to losing key clients should an executive leave. Other times it comes naturally as executives find they have less time to cultivate their own networks and are more easily disposed to relying on the mass of resources provided by the firm. In both cases, organisations are putting themselves at a disadvantage. A firm’s growth and survival depends on the ability of its managers to explore for new business. However, the specialised roles, routines and procedures companies create (particularly larger companies where a clearer distinction between individual and firm exists) can limit the exploration of individuals working for them. As savvy executives begin to understand the role of network structure on their ability to explore and develop new ideas, more interest is being taken in the networks’ content. It is commonly accepted that sparsely connected networks – that is, networks where contacts are not linked and where executives effectively act as a broker across different pools of knowledge – provide diverse information and support broader searches as required for exploration. While this may have bearing on organisations in general, it is not sufficient in the case of professional service firms, where clients are often heavily involved in the exploration and innovation process. Because of their diversity, the ties in sparse networks are often weak and may not provide the basis for trust and reciprocity required for clients to feel comfortable. 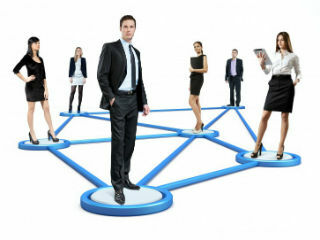 For a better understanding of how important these individual ties – between executives and their clients or contacts – are to managerial exploration, Marie Louise Mors, a professor of Strategic Management and Globalisation at the Copenhagen Business School, and I studied the professional networks of 77 managing partners in a large, global consulting firm. The aim of our research, “Managerial Networks and Exploration in a Professional Service Firm”, was to identify whether the effect of network structures on exploration were contingent upon the number of individual ties in a manager’s network, and how the investment of individual resources in executives’ professional relationships related to their exploration behaviour. Interviews with the executives provided interesting insights into their different attitudes to building these professional networks. There seemed to be contrasting attitudes, with some “happy to let other people stand in front” or as one respondent noted, ready to “push the firm with a capital F”, while others preferred to take a more intimate approach, insisting, in the case of one partner, that “the firm should stand behind you and not the contrary”. What we found was that managers who invested primarily individual resources (that is, their own knowledge and experience) in their professional relationships, performed better in terms of new business and new knowledge growth. They were exposed to a greater diversity of information, had greater autonomy vis-à-vis the firm and their contacts were more willing to provide resources in return. We controlled for human capital differences thus ruling out suggestions that our findings may have been influenced by differences in resources or skills held by individual managers. We also controlled for other relationship characteristics such as tie strength, to allay concerns that the closeness of the relationships rather than the choice to invest individual resources may explain the results. 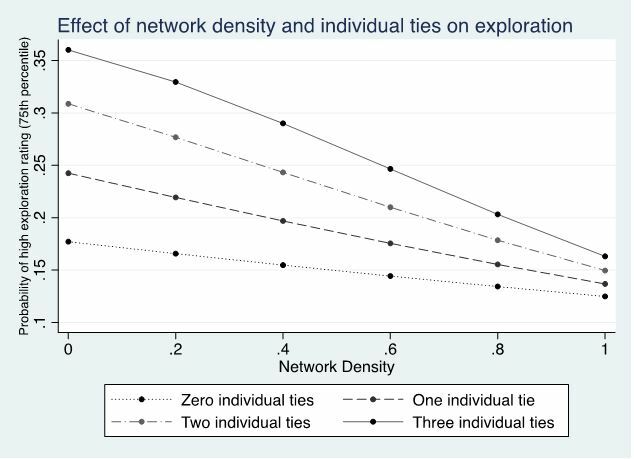 A closer look at the results showed that the impact of individual ties was greater for sparse networks, in cases where the executive had key connections to different people in different industries who didn’t know each other, and the impact declined as networks increased in density, that is, as existing ties between their contacts increased. The findings suggest it would befit top managers to encourage their executives to nurture and use individual ties when exploring for new business opportunities or knowledge. Doing so may place the firm at a greater risk of losing clients if an executive should leave, and give executives more leverage when bargaining for position or salary, but the overall benefits to the firm outweigh these vulnerabilities. In other words, Chris' employers would be wise to encourage him to build and maintain his network of individual ties. Although the firm's current business is not related to his expertise in microfinance, that misses the point. 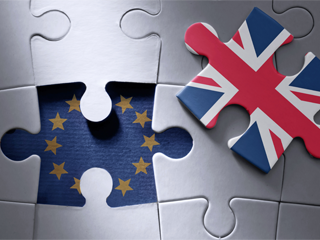 Indeed, it is from that set of individual relationships – and those of Chris' colleagues – that the firm's next growth areas are likely to come. *Michelle Rogan is an Associate Professor of Entrepreneurship and Family Enterprise at INSEAD. She is currently a Visiting Associate Professor at Kenan-Flagler Business School at the University of North Carolina at Chapel Hill.